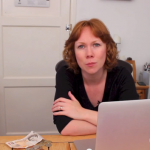 This episode of AmyTV looks at 3 simple tips to remember if you want to woo your customer with tutorial content. If you’re a plumber and become known as the go-to guy on the web for fixing baths and general plumbing maintenance expertise, you’re going to raise your profile and in turn increase exposure of your business to your ideal customer. It’s a no-brainer really, not only does it increase visibility but this is one of the easiest pieces of content to create for a business because it’s based on your own knowledge. You don’t have to dumb down your advice, but understand that your ideal customer may even be a complete beginner in your area of expertise. A lot of the businesses I work with are surprised at how popular some of their simplest posts are in attracting prospects and being shared. If you are a web designer You might be more interested in the subtle nuances of design psychology, but your business own customer might just be looking for help picking colours to brand their business. I did an interview recently about my decision to launch a completely free online sales page resource. I explained that the content was aimed at beginners to sales pages, but not beginners in business. My ideal customers are those who are well-established in their businesses but are brand new to the ideas of writing sales pages, copywriting or creating content for content marketing. Assess the skill and knowledge level of your ideal customer within your area of expertise and match the skill level of your tutorial accordingly. A famous study in persuasion saw an increase of visits from students to the campus asthma medical centre simply by adding a visual map. 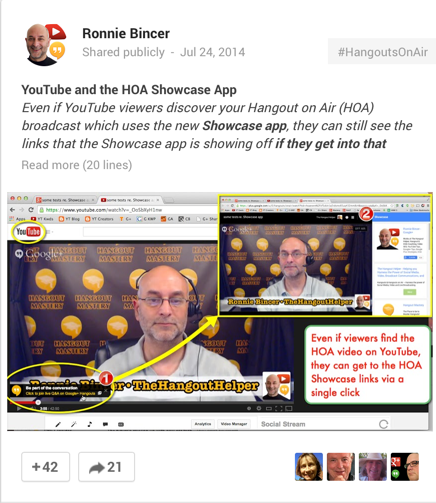 Ronnie Bincer, The Hangout Helper using great visuals to teach businesses how to use G+ Hangouts. Screenshots, photos, even hand drawn doodles can all help to increase the stickability of your message. Using a recipe analogy in the video wasn’t the best as I am terrible at following recipes. I can follow them word for word and still be better off making a microwave meal. But they’ve got the right idea when it comes to creating tutorials. When I teach content workshops I break down the process of writing content into bite size pieces. Prepping materials is intensive, but it’s worth it when attendees can follow the instructions, apply the knowledge that day and improve their writing skills. When you’re mapping out your content tutorial, break it down as though you were writing a sworn statement of the actual events to be used in a court of law. Skip out nothing. This may seem laborious but it can make the difference between your advice being used to get results, or your advice being misinterpreted and causing frustration. Do you boil the egg from cold water, or put the egg in when it’s boiling? How long do you boil it for? How fiercely should the water be boiling? I know because I am still in pursuit of the perfect soft-boiled egg (any tips in the comments would be appreciated). So there you go, 3 simple tips to making memorable tutorials your customers will love. How did you get on? Let me know in the comments below! CMS! 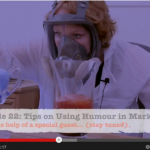 Episode 11: What Content Marketing Methods Should You REALLY Use? Excellent. #1 and #3 work so well on the tutorial front. Some of my more popular posts are for beginner level bloggers. Sure, we want to attract pros too but we make the assumption at times that only pros are reading our blogs, or that newer bloggers “get it”, and need to be offered basic steps. Nothing is further from the truth. Many readers or tutorial students need all information laid out step by step because the teaching style creates order in our minds, and orderly thinking folks feel good, calm and at ease. This is where #4 works in nicely. All the leg work on the front end reaps returns on the back end, as no stone will be left unturned and your students/clients will be given all that they need – in the proper order – to digest and utilize your tutorial to their benefit. Awesome blog Amy. Kevin Duncan referred me to you via his latest post, as your quote totally resonated with me. I remember the first workshop I ever did a few years ago for a company in Sweden. I poured out everything I could tell them about content marketing and strategy, but found that what they really wanted to know were the real basics. Since then, those beginner topics are where I’ve had the best results. As you continue to grow and learn it’s easy to forget that not all of your readers are growing and learning at the same pace and there will always be a need for good solid step-by-step beginner topics. Great stuff, as usual. You know, I have read many a tutorial which, based on the end results, were put together much the same way the wedding cake in your video was put together. What in the name of Loretta Lynn indeed! For the love of George Jones! Thanks Amy, Always love your info and delivery. Once again, fun presentation plus money making tips.